At the end of the nineteenth century, intellectuals in Beijing, Cairo, Shanghai, and Beirut grappled with problems that were strikingly similar: How could the local written language transmit modern knowledge? How could classical learning be reconciled with “modern” (understood as Western) thought? What was the role of traditionally educated people in new educational and media institutions? And what authority should be granted to those who could translate and import modern knowledge? My current project investigates the surprising points of connection between two moments in history that are ordinarily seen as discrete, if not unique in world history. My talk will discuss the intergenerational conflict carried out by writers of the New Culture and Mary Fourth period and writers associated with the Diwān group in Egypt against their respective opponents. In their rejection of what they saw as older, hopelessly excessive and ornamented styles, these writers recast the work of the intellectual in ways that bear important resemblance to one another. Through a comparative analysis of these two movements, scholars might see new opportunities for understanding the May Fourth period beyond East Asia and beyond the East/West axis of comparison. The May Fourth New Culture Movement was about mobility: the intellectual, cultural and ultimately sociopolitical mobility it unleashed, as is well known, led to a dramatic era of revolutionary mobilization. There was yet another dimension of mobility: the May Fourth generation was a generation that constantly travelled, in search of the “other” place, better place, and no place (that is, utopia as both eu-topia and u-topia), and left a wealth of travel writings that deal with this constant transit and search. In this presentation, I draw attention to the May Fourth mobility in the most literal sense of “movement” as traveling, and focus on the May Fourth tradition of travel literature as a form of making sense of the world and imagining utopian politics. The first trajectory I will follow is from Liang Qichao’s critique of European modernity in Ou you xin ying lu (Impressions from travels in Europe) to Zhou Zuoren’s essayistic account of his visit to Japan’s quasi-socialist commune Atarashiki-mura (New Village, established by Saneatsu Mushanokōji in Kyushu). In parallel to this was a literature in search of Soviet Russia, from Qu Qiubai’s E xiang ji cheng (Journey to the starving land) and Chi du xin shi (Record of the Heart in the red capital) to Hu Yuzhi’s Mosike yinxiang ji (Impressions of Moscow, 1931). I aim to show that May Fourth travel literature was premised on a cosmopolitan politics and responded to an urgency of reimagining global modernity. This new dynamic initiated an impassioned and enlightened search of utopian geopolitics in revolutionary Chinese literature and culture. Of the prominent May Fourth writers and literary critics, Qu Qiubai was one of the rare few who actually participated in the protests in 1919. Qu would go on to become the most sophisticated Marxist literary theoretician in China and even served briefly as leader of the Chinese Communist Party. Following his political downfall, Qu devoted himself to questions on the role of literature in the context of revolutionary politics. One the primary targets of Qu’s forceful critique was the very legacy of the May Fourth Movement, which he viewed as irredeemably “Europeanized” and a failure of the literary elite to create literature for the masses. In this presentation, I attempt to trace the connections between Qu’s physical involvement in the May Fourth demonstrations of 1919 and the development of his later critique of the literary movement it spawned. In particular, I examine Qu’s complicated relationship with mass politics and literary criticism alongside his own end-of-life articulation of his own literary identity as a wenren, a figure of traditional Chinese literatus. Qu, in this way, manifests a critical self-awareness that situates modern Chinese literature in the incomplete process of becoming Chinese. This paper examines modern Chinese literature’s engagement with the poetics of landscape and how it mediates and meditates on the relationship between human beings and things, poetry and nature, physical and metaphysical worlds. I first compare various May Fourth writers’ renditions of Johann Wolfgang von Goethe’s nature poems to consider their notions of the cosmos, nature, and landscape poetry. I will then discuss Feng Zhi (1905-1993)’s 1940s reflections in wartime Kunming on issues including the romantic notion of landscape and its antipastoral counterpart, the mutual formation and transformation between the poetic self and nature, the poetic figuration and signification of nature, and the rhetoric of temporality in landscape poetry. How do we explore the geographical and territorial dimensions of May Fourth Movement and its legacy? How do we understand the recent return of superstition narrative and shamanistic performance within and without the framework of May Fourth enlightenment and revolution? This paper examines Northeast China (Dongbei, Manchu, Manchuria, and Manchukuo) as an aesthetic and ideological heterotopia and “non-place” beyond the Shanhai Pass and the Great Wall evidenced in the Twenty-First Century literary and cinematic representations. By focusing on the methods of imagining Dongbei envisioned and practiced by distinctive writers (Chi Zijian, Liu Qing, Shuang Xuetao, Zheng Zhi, Jiang Feng, and Ban Yu), and maverick film directors (Wang Bing, Fruit Chan, Zhang Meng, Han Jie, Diao Yinan, Hu Bo, and Cai Chengjie), I inquire into their connected and bifurcated shamanistic narrative and/or fragmentary redemption, as well as their subtle and intricate entanglements with the May Fourth tradition and its discontents. Since 1980s ex-libris (cangshupiao 藏書票) has been a popular form of art and art-collecting practice in China. Despite of that it remains at the margins of literary and cultural history of modern China. The paper will look for the beginnings of the ex-libris practice among May Fourth generation writers in early 1930s around the Xiandaijournal, tracing the introduction of the art from Europe via Japan, and its conceptualization in relationship to domestic tradition of book collecting. It will also touch upon the marginality of ex-libris in China at that time, unlike its broad popularity in Japan. The case will be framed in three sets of more general issues: 1) uneasy relationship between domestic tradition and the impulses coming from the west; 2) self-positioning of the May Fourth generation authors vis-à-vis Chinese tradition and western modernity, including ways of legitimizing a new practice; 3) the travel and circulation of western ideas in East Asia. The last issue also touches upon the often-neglected diversity of the notion of “the west”, generally understood through the centers in Europe and U.S., as it will point out to important presence of impulses from European periphery. This paper looks into Zhou Zuoren’s unique position in the New Culture Movement through reflecting on his translation of the Greek poet Theocritus’s work and his literary thought associated with his admiration for the Greek antiquity. Zhou first joined force with the New Youth cultural reformers in 1918 when he published “A New Translation of an Old Poem,” a vernacular free-verse rendition of Theocritus’s Idyll 10, in addition to a short introduction. 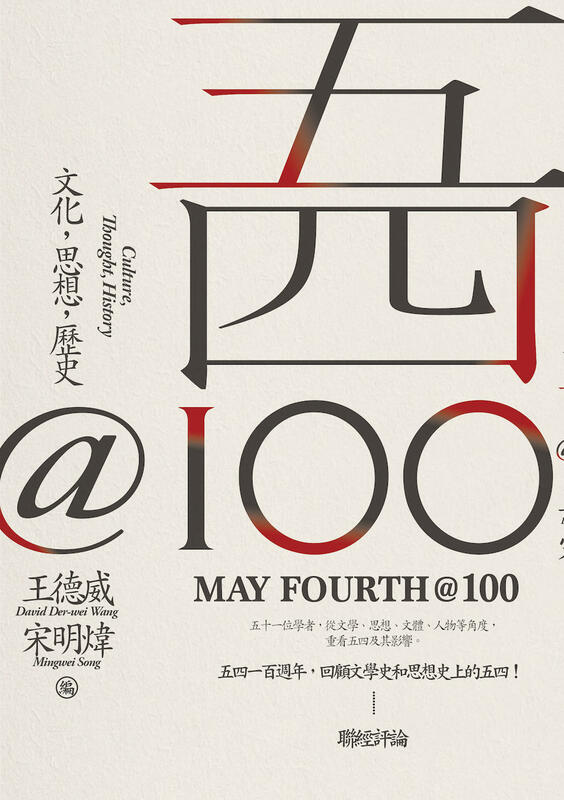 This piece demonstrates Zhou’s commitment to a literary revolution that first of all focuses on the usage of a new vernacular literary discourse. This commitment was combined with his earlier efforts to seek a revolution in thought together with his elder brother Lu Xun. On the other hand, Zhou Zuoren’s choice of translating Theocritus also shows his more sophisticated cultural thought that points to a richer meaning of literature than merely serving the purposes of the Enlightenment, revolution, and the change to the nation’s intellectual outlook. In the ancient Greek poet’s idylls, Zhou Zuoren believed that he found the “real spirit of the Greek”—a combination of worldliness and aestheticism—that would teach a life responsible and dignified in this-world, for the Greek and the Chinese alike. During the May Fourth period, Zhou Zuoren was one of the few intellectuals who felt compelled to appreciate the joys of the daily life, the pleasure of writing about it, and the strength of a national literature that is deeply seated in folklore and folklife. This paper focuses on the early translations published in New Youth, one of the leading periodicals in the New Culture Movement in China. While extant research mostly focuses on this journal’s iconoclastic and radical arguments that prepared the way for the May Fourth Movement in 1919, this paper examines the period before Chen Duxiu, the founder of New Youth, raised the banner of literary revolution. By interrogating the concealed history of relay translations of fiction, especially translation of Turgenev’s stories by Chen Gu, published in New Youth, this paper unfolds various approaches Chinese translators took in presenting Western culture—sometimes involving unexpected processes of localization due to Japanese mediation. Specifically, I argue that the early translations in New Youth formed an interstitial space of hybridity where writers negotiate among different visions of transcultural syntheses. This essay first discusses an article titled "The Future of China" by Japanese thinker Kazumi Ukita (1860-1946). In the few years before the May Fourth Movement, the explosion of discussions regarding China’s preservation and fragmentation in Japan alarmed and shocked Chinese society, from laymen to elite intellectuals. The historical era extending from the late Qing Dynasty to the beginning of the Republic of China was a critical moment for China’s transition from traditional imperial territory to the sovereignty of the modern state. Therefore, the focus of the political and academic debates shifted from “self-strengthening” during the late-Qing to the “preserving national territory” in the early Republican period. In the years before the May Fourth Movement, the awakening of modern Chinese consciousness regarding the frontiers was inseparable from the pressure of the Japanese political aggression. The resources for understanding the history of the four ethnic groups were also closely related to Mongolian studies in Japan. The complicated relationship with Japan was a source for the idea of ​​"national salvation" before the May Fourth Movement. At the end of this paper, I try to put forward the argument it is legitimate for previous scholarship to use "enlightenment" and "national salvation" to describe the May Fourth Movement. I only suggest reversing the order of "enlightenment" and "national salvation." In other words, the May Fourth Movement was triggered by the combination of national sentiments and new cultural enlightenment. The Treaty of Versailles handed a political victory to the nascent state of Japan, and the immediate response of the Japanese public opinion to the May Fourth Movement was generally denunciatory and loaded with calls for protecting the hard-won “national interests” from the protesters. However, Japan’s political win in post-World War I international relations also meant that the nation had become fully complicit in the very injustice of imperialism with which it had grappled in its ongoing quest for modernization. This ironic contradiction made the May Fourth resonate with certain Japanese intellectuals as a call for self-reflection on Japanese modernity in particular and, above all, for a structural critique of modernity in general. My paper is an attempt at gleaning such reverberations in both pre- and post-1945 Japan. It especially focuses on works by Yoshino Sakuzō (1878-1933) and Takeuchi Yoshimi (1910-77) and explores how the conceptual and affective implications of the May Fourth were disseminated in their writings. Intellectuals in Korea and China named the year 1919 as the New Era. The name helped to define the March First and the May Fourth movements, which became benchmarks for the advance of modernity in both countries. This essay explores how “affect” inspired the collective movements in the context of a broader hope for the New Era. Texts for my analysis include newspaper and magazine articles, Yi Kwangsu’s novel Mujŏng (The Heartless, 1917) and Lu Xun’s short story “Kuangren riji” (A Madman’s Diary, 1918). The Chinese intellectuals viewed the March First movement with a sense of shame, whereas the Korean intellectuals sympathized with the Chinese students struggling for the May Fourth movement. Sympathy and shame are the two major forms of affect found respectively in The Heartless and “A Madman’s Diary.” The Koreans in the colonial state developed a sense of national solidarity by expressing sympathy for the weak, which ultimately led them to organize a peaceful movement based in a broader love for humanity. On the other hand, a feeling of shame for their divided homeland inspired the Chinese to grapple with tradition and establish a new culture. Og Gwanbin (1891-1933), a Korean independence activist, was sentenced to jail by the Japanese colonial government for his involvement in “105 People Incident”, a predominantly Christian nationalist movement in 1911. This movement had laid the bedrock for the "March-First Movement" of 1919 for national independence. After he became disengaged from the "March-First Movement" group due to his previous convictions, Og rushed to Shanghai as an exile where he got involved with the Korean interim government. Afterwards, Og converted to Buddhism and became a disciple of Master Taixu. Their collaboration aimed at the reformation of Buddhism, while Og’s medical company Fo Ci (佛慈) commercialized the improvement of the Chinese medicine adapting scientific methods of refining treatments. However, Korean anarchist clique suspected Og of espionage for the Japanese and assassinated him in public. His complicated life was overshadowed by changing identities: from Korean nationalist to Chinese citizen by choice, from Christian agitator to Buddhist reformist, and from independence activist to suspected traitor of his native Korea. Foregrounding Og Gwanbin’s changing roles, this paper aims to reconcile partisan debates between Chinese and Korean scholars, each claiming the resourceful innovator for their nation. This essay discusses how the May Fourth liberal legacy, with democracy being one of its most advocated slogans, was carried forward in Taiwan through the efforts of the Free China Bi-monthly, but my focus is on the efforts of Yin Haiguang and his student in their pursuit of liberal democracy. Calling himself “the son of the May Fourth,” Yin advocated liberal democracy as the only way to resist the then dictatorial rule within Taiwan and the threat of totalitarian rule from without. Although the tragic fate of Yin Haiguang and the Free China magazine did not bring victory for the May Fourth liberal ideals, Yin’s liberal ideals resurfaced in the works of his student Lin Yu-sheng. Since 1980, Lin has modified, clarified, and corrected many of Yin Haiguang’s ideas and understanding of liberal democracy. He has also given a sophisticated interpretation of some of the basic values pertinent to the development of liberal democracy. His interpretation is such that he can be regarded as the first intellectual who put forward a coherent system of arguments for liberal democracy that continues the May Fourth liberal legacy. This is not only crucial to the establishment of liberal democracy in the Sinophone world, but also relevant to the development of other democratic societies. As a symbol of democracy, new science culture, and new baihua literature, the May Fourth movement is also a significant token of Chinese cultural, political and social transformations. In recent years, Taiwan has intended to include it in the discussion of Republican memories. This presentation attempts to recount how the May Fourth movement appeared in Taiwan during Japanese occupation, as well as how it was continued and adapted in Taiwan's cultural reconstruction in the early days of retrocession. On October 19, 1936, as the news of Lu Xun's death spread, the artistic and literary circles of Singapore and Malaya sank deep into mourning. Among the group, Malayan artist Dai Yinlang (1907-1985) published a woodcut portrait of Lu Xun in Singapore newspaper Nanyang Siangpau to pay homage to the late writer. In the woodcut world, Dai Yinren's succession of Lu Xun's spirit represents another inheritance of Lu Xun's spiritual legacy in Singapore and Malaya. Between the years of 1931-1935, Dai Yinlang studied Western arts at the Shanghai National Academy of Art and keenly felt the popularity of Chinese woodcuts as well as Lu Xun's support for young woodcut artists. In the early days of his return to Nanyang to promote woodcut and comic arts, he exhibited a profound woodcut spirit -- "depicting the multi-faceted conflicts of reality through the sharp touch of his knife," echoing Lu Xun's teachings from afar. Besides exposing the cruelties of society, Dai Yinlang's woodcuts are also close to people's daily lives and incorporated expressions of Nanyang’s landscapes and local flavors; his art records reality, subtly embodying what Lu Xun calls "the soul of the modern society." Besides woodcuts, the legacy of Lu Xun's spirit has left considerable impact on Malayan Chinese miscellaneous writings and essays. The important local literary scholar Fang Xiu is exclusively keen on Lu Xun's militant and critical miscellaneous writings, and subsequently called for "militant essays" in the 50s to bridge wartime art and literature, as well as to echo Malaya's independence from the British Empire in 1957 by paying attention to the native land at the present moment. Lu Xun's death helped to foster anticolonial resistance movements among the Chinese in Singapore and Malaya; they responded to China’s anti-war efforts, the British occupation of Singapore and Malaya, as well as calls to build an independent nation during the Cold War era. There have been countless commemoration ceremonies for and special journal issues on Lu Xun's death in the past decades in Singapore and Malaysia; Lu Xun's integrity and militancy is his most distinct spiritual legacy. From the prewar woodcuts to the postwar militant essays, the May Fourth role model and Left-wing spirit embodied by Lu Xun occupy a unique and significant place in the nationalistic consciousness of Singapore and Malaysia’s Chinese communities. It is well known that the May Fourth Movement was full of ambiguity and tension. On the one hand, the term refers to a one-day incident where thousands of students marched through Beijing on the May Fourth of 1919 to protest the unequal treatment of China in the Versailles Settlement. On the other hand, the same term signifies a decade-long movement, from 1915 to 1925, to promote “science” and “democracy” by changing the Chinese language, the Confucian tradition, and the patriarchal family structure. Because of its multiple meanings, different groups commemorate the May Fourth for different reasons. Sometimes, opposing groups use the commemoration to contest for power, discursively or politically. In this paper, I will focus on how the educated elite in colonial Hong Kong had used the commemoration of May Fourth to express their local voices. Started immediately after the May Fourth incident in 1919, every year there was a commemoration of the May Fourth in Hong Kong, sometimes in the form of public gatherings and often on the pages of newspapers and magazines. In these commemorations, we see the creativity of the Hong Kong educated elite in transformation the remembering of the May Fourth into a critique of national and local politics. Their creativity, I argue, rested in their ability to use the rhetoric of national salvation to address pressing local issues, such as racial hierarchy, the colonial structure, and the identity of Chinese residents. In this fusion of the local and national narratives, we see the dynamic process of constructing and reconstructing the “May Fourth memory” that lasts to the present day. This presentation focuses on Yuan Zhenying’s (1894-1979) contribution to the “May-fourth New Culture Movement”, It suggests that Yuan’s advocacy of Ibsenism, anarchism and socialism, as well as his competence in foreign languages were the result of his upbringing in Hong Kong under British rule. Published in 1924, Lu Xun’s short story “Benediction” (Zhufu 祝福) describes the quasi-autobiographical narrator’s return to the town of Luchen, which he regards as his “native place” (guxiang 故鄉)—though he immediately notes that “although I call it my native place, I had had no home there for some time.” Meanwhile, just over ninety years later, in 2015, Malaysian Chinese author Ng Kim Chew 黃錦樹 published a short story with the same title, which opens with a similarly curious homecoming scene—in which the adult narrator arrives in Kuala Lumpur from mainland China, bringing her father’s ashes back to the country that he had viewed as his homeland but to which he had be prevented from returning for the latter half of his life. Taking these two identically-titled stories as its starting point, this paper will reflect on the status of concepts of homeland and tradition within May Fourth discourses, together with the subsequent diasporic circulation of those discourses themselves. The question I asked here does not demand an answer that either defines “A Madman’s Diary” as science fiction or not. My inquiry aims at an unconventional reading of Lu Xun’s story as a text that tells us what differentiates science fiction from the mainstream realism of modern China. Science fiction used to be considered as the opposite of realism; but the recent revival of the genre claims that science fiction is a sort of realism, a hyperrealism that augments the sense of reality. For example, Han Song’s novels illuminate the invisible reality of contemporary Chinese society, and create a surreal vision of augmented reality that challenges the popular belief in a series of ideas that construct conventional knowledge about realty, ranging from epistemology to psychology to ideology. Han Song actually learns from Lu Xun, who was an early advocate for science fiction before the May Fourth, not only through rewriting Lu Xun’s literary themes such as cannibalism, iron house, saving children, etc., but he also reconstructs Lu Xun’s literary techniques as some basic principles for science fiction. “A Madman’s Diary” contains two conflicting views on reality: based on the literalness of the madman’s discourse, China is a nation of cannibalism; but conventions veil the literalness with various cultural symbolism, so Confucianism could make cannibalism (if there is any) a benevolent part of a civilized life. Science fiction is a literary genre whose grammar, rhetoric, and style are built on the literalness of it scientific, technological discourse. It leads to an inconvenient revelation of deeper truth beneath the surface reality. In “A Madman’s Diary,” if readers choose to believe the madman’s words, they have to go through a cognitive correction about the accepted ideas of the tradition; for them, the reality is no longer the familiar associated with organic society, but instead a cognitively estranged world that shows to them the inconvenient but necessary truth about the world. In other words, the literalness in science fiction paves way for a cognitive alternative to conventional realism. Still this paper does not provide a conclusive statement about the generic nature of “A Madman’s Diary,” but it is my hope to use this famous example to provoke reflections on the poetics of science fiction as a subversive, cognitively alternative literature vs. the mainstream realism as a law-making, truth-claiming literature. Readers have to go through a cognitive corrective in order to come to the revelation about the truth of the world, as “A Madman’s Diary” and many contemporary Chinese science fiction have shown to us. In this sense, although May Fourth saw the disappearance of SF as a genre, its groundbreaking literary work “A Madman’s Diary” outlines the unique poetics of the new wave of Chinese science fiction that prevailed one hundred years after the May Fourth. The question about how to interpret the nature of May Fourth Movement has been at the center of many debates concerning the development of Chinese history, culture, and politics. Yet the studies of “May Fourth” had met with new challenges in the twenty-first century due to a number of reasons. First, the movement became a subject of studies in the U.S. in the 1960s, in which scholars began to inquire into the nature and rise of Chinese communism. A key question debated at the time is whether the movement is responsible for, or analogous to, Chinese Cultural Revolution. The rise of “May Fourth studies” is thus essentially a reaction to the Cold War in the 1960s and 70s, a political situation that is very different from today’s world. Second, many slogans and key ideas once associated with the movement such as anti-imperialism, anti-traditionalism, science and democracy had gradually lost their critical edge in reflecting as well as addressing the political reality of contemporary China, which is no longer a small and weak nation struggling for survival but a formidable power on a global stage. The ethos of patriotism and nationalism that the movement once embodied thus lost its necessity under the new circumstances. Third, the recent trend of Sinophone studies have also challenged the literary paradigm laid by the May Fourth writers. While the former embraces the value of dialects and articulates a de-centered perspective on Chinese culture at large, the latter envisions a standardization and nationalization of Chinese language and literature. The ultimate different visions of the two discursive paradigms thus warrant our consideration. In face of these challenges, I argue that the primary task for intervening “May Fourth studies” is to designate a set of new keywords to reshape and redefine the field. It is also imperative to perceive and present May Fourth Movement as not only a cultural-political symbol of China, but also a relatable example of modern knowledge production that can be used and reflected upon in other fields of studies. An international symposium to celebrate and reflect upon the monumental legacy of China’s May Fourth movement. The event is sponsored by the following institutions: the Chiang Ching-Kuo Foundation for International Scholarly Exchange, the Department of East Asian Languages and Civilizations at Harvard University, the Fairbank Center for Chinese Studies at Harvard University, the Harvard University Asia Center, and the Harvard-Yenching Institute.